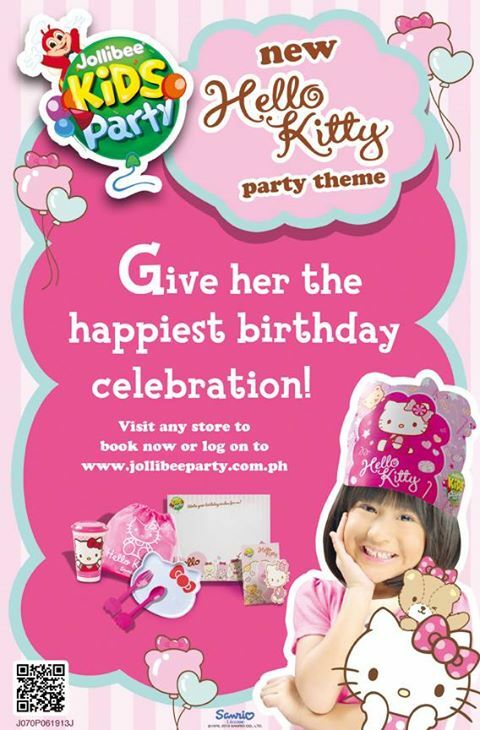 If your kid's favorite color is pink, enjoys eating kiddie meals and is a fan of Hello Kitty, then Jollibee Hello Kitty Kid's Party is just fitting for her birthday bash. A new addition to the selection of Jollibee birthday packages, Hello Kitty Kids Party covers the birthday cake, party hats, loot bags, invitations and other party favors featuring the cartoon character. The celebration becomes even more festive with colorful balloons, decorations and game prizes, plus a special appearance by Jollibee. 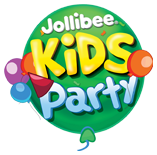 Jollibee makes it very convenient for parents to plan for their children's dream birthday party with a variety of party food packages or go with the flexible Create-Your-Own Package. Visit your nearest Jollibee store or log on to jollibeeparty.com.ph for more details.